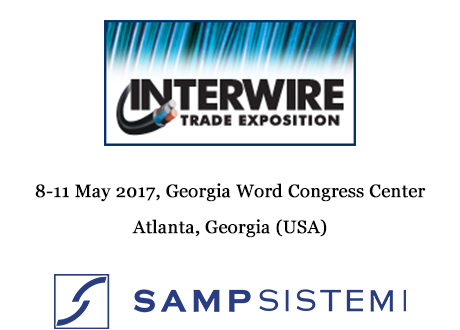 We are glad to announce our participation to the Interwire Trade Exposition in Atlanta (May 8-11, 2017) which will be held at the Georgia World Congress Center. We look forward to meeting clients, partners and friends and share the latest news concerning new developments, investments and more! On Wednesday 10th May, our Product Manager, Enrico Conte will present the technical paper: “Aluminum and Alloy Wires in Automotive Applications”.